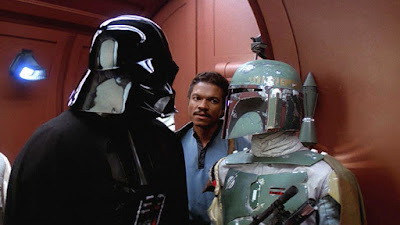 Ever since Disney announced their plans to do Star Wars anthology films alongside their episodic installments, one of the potential films we have always heard about was one centered around Boba Fett. The infamous bounty hunter, who made his (real) debut in Star Wars Episode V: The Empire Strikes Back, has been a fan-favorite in the Star Wars universe for decades. While Rogue One: A Star Wars Story was a film we didn't think we needed but turned out to be incredible, and Solo: A Star Wars Story was never asked for, a Boba Fett movie is an anthology film fans can rally behind. Chronicle and Fantastic Four director Josh Trank was announced to be helming a Star Wars anthology film way back in 2015, but was cut loose by LucasFilm after the Fantastic Four debacle. It was later revealed that Trank was working on a Boba Fett film, and since then we have heard nothing new about the project. That is, until now. 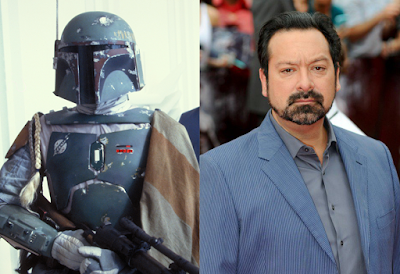 It is being reported that James Mangold, the man behind last year's Logan, has been brought on to write and direct a Boba Fett movie for LucasFilm. There is currently no set release date for the film. I have been very open about by disinterest in seeing a Boba Fett film. He is a great side character, and I think including him in just about any other Star Wars movie will do nothing but enhance it. However--and this was part of my initial apprehension about Solo: A Star Wars Story--Boba Fett is a mysterious character. Part of his appeal is that we don't know much about him, and having a whole movie centered around him and (presumably) his origins would take away from that mystery. I would be far more interested in seeing a film about the underground criminal organizations in the Star Wars universe, with the bounty hunters having a prominent role in it. There, you could certainly include Boba Fett as a central character. But having him as the lead in his own movie just feels like it would take away something from the character. With that said, hearing that James Mangold will be writing and directing the movie does get me excited. While I don't want to see a Boba Fett film, Mangold is a terrific filmmaker. Look no further than Logan. If Mangold is doing it, then I can't help but at least be interested. As I see it, the better choice would have been to not do a Boba Fett film. In fact, I was always hoping that Mangold would end up directing the Obi Wan movie, as I wanted it to be done in a similar style to what he did with Logan. But with Mangold doing Boba Fett, it does certainly pique my interest. What do you think? Do you like the idea of a Boba Fett anthology movie? Are you glad that James Mangold will be writing and directing it? Are you planning on seeing Solo: A Star Wars Story this weekend? Leave your thoughts in the comments section below.